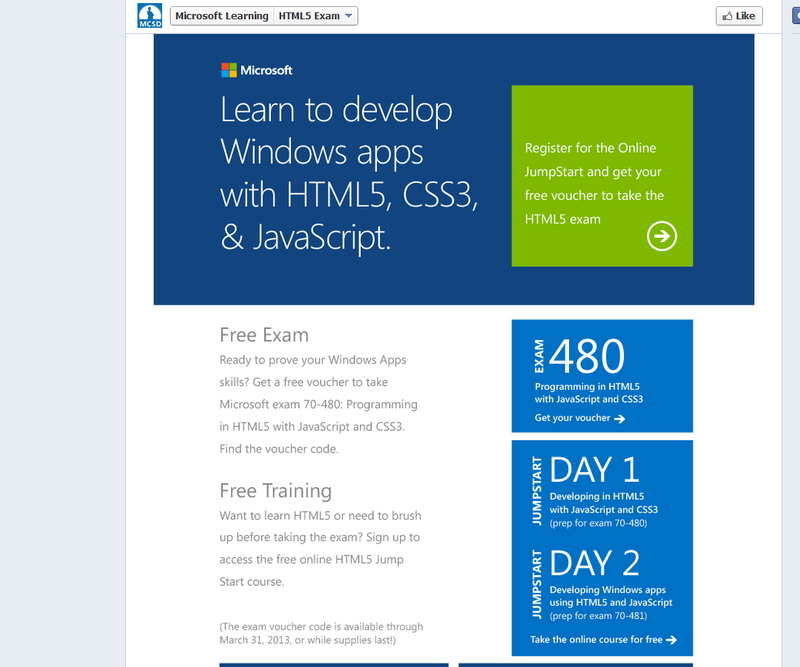 Microsoft Learning announced it is offering a voucher for exam 70-480 for free through 3/31/2013 while supplies last. 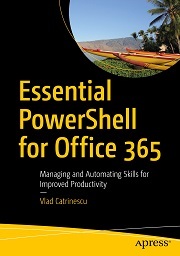 Furthermore, they also offer a jump-start training for the 70-480 exam absolutely free on Microsoft Virtual Academy. However, there is another promotion code that works (I don’t know for how long). The code is: HTMLMPN and it works as of today. Special thanks to ‘Lonleypearl’ for the code! 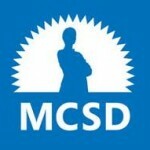 Also, don’t forget the 70-480 exam is Required for the MCSD SharePoint Certification. Click for more info. However, the original code: HTMLJMP is working again as of today! 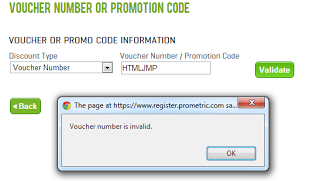 NOTE: Although in the official text from Microsoft , they describe it as a voucher code , when you enter it as a voucher in Prometric you get the following message. 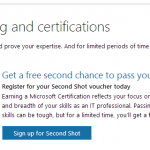 Edit(13/02/2013): Microsoft Learning that all vouchers have been taken. I think it’s dead for real now! when try to enter this promotion Code. Please help…. I guess the offer was really popular, so the all the available codes have been taken. As I replied above, the offer was until 31 march and while supplies last. The maximum number of people taking the exam for free has been achieved and that’s why it doesn’t work anymore. 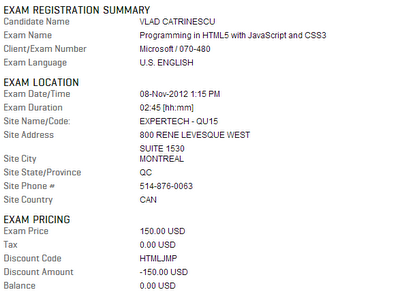 Promotion code HTMLJMP got expired. Here the another promotion code HTMLMPN,its active. Special thanks to Saravana Kumar Bhoopalan. Thank you very much! I updated the post with the new code! I just tested it and it still works! I selected 70-480 in English Language. 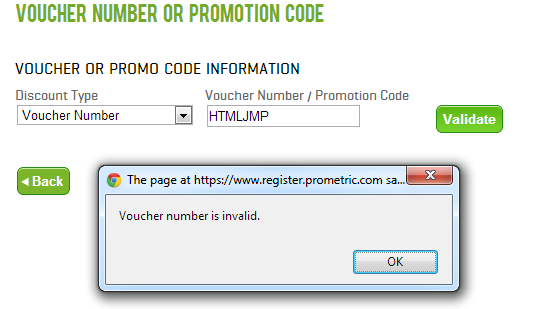 Make sure you enter it as a “promotion code” and not as “voucher number”. 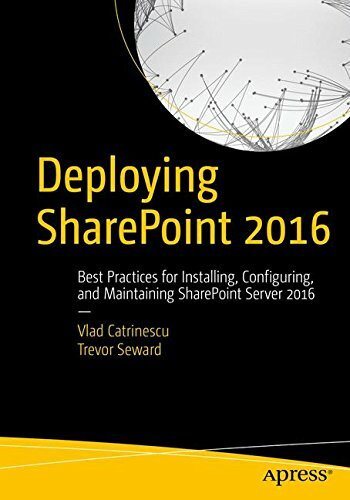 Vlad, thank you for the fast response. Indeed it works and I am now good to go. I used a wrong course number i.e. instead of 070-480 I used 073-480. Promotion Code HTMLMPN got Expired. Hi! the original code HTMLJMP now works again! sign up fast! Kindly provide the latest promotion code because HTMLMPN got expired. is there any new promotion code ? Booked today with the HTMLJMP and it worked fine over here in the UK. Just saved £99! Cool! Happy it still works and that I helped you save some money! HTMLJMP worked also today. Do you know that the 3/31/2013 is registration deadline or an exam pass deadline? That’s actually a good question. Honestly, I think that once you are registered and you have a confirmation it’s ok!. Il ask MSLearning and if they answer I will reply ! Plz give new code for HTML Exam. 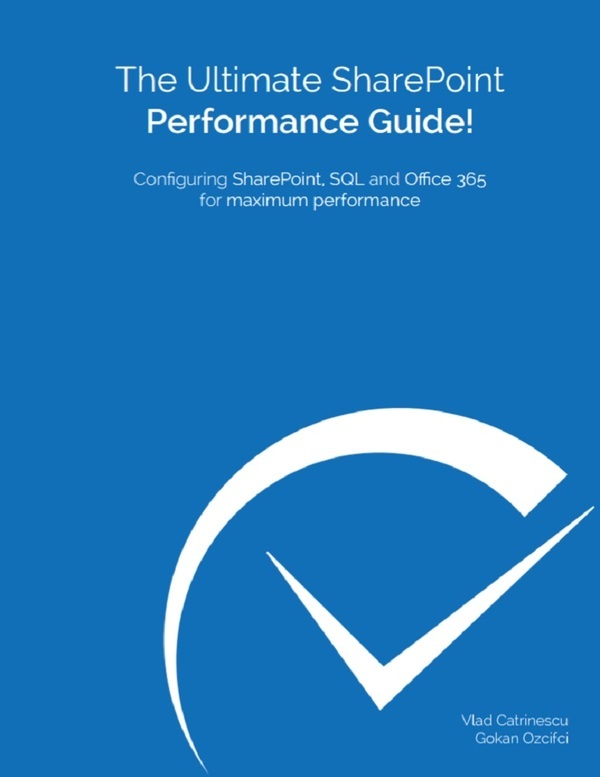 Microsoft People, Please Release some new FREE code for 70-480 exam. Please give new code for HTML Exam. Unfortunately the promotion is over :(. Don’t forget to follow me on twitter or other social media with the links below, so next time there is a promotion, you will be in the first ones to know! Unfortunately the promotion is over :(. Don’t forget to follow me on twitter @vladcatrinescu or other social media with the links above, so next time there is a promotion, you will be in the first ones to know! Please, post new codes, some people doesn’t know very well the english language so when are reading different material need to translate first, Thanks. 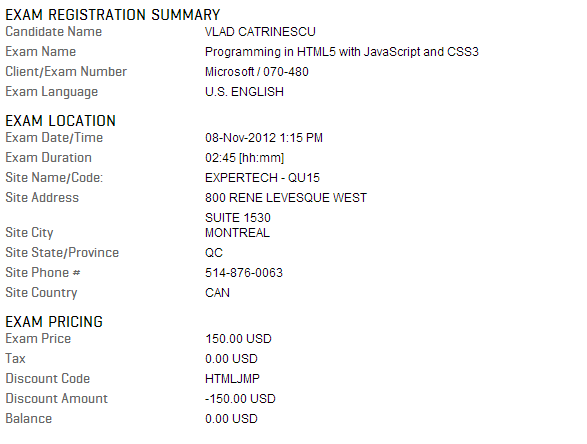 Dear Microsoft team, Plz Post New Voucher Or Promo code for HTML Exam. Mmmm… possibly there are no more free voucher/promo codes. Just a guess. Plz share free MS exam Codes..
Has anybody a new code for this examen? False alarm. I tried, didn’t work for me. today, i try HTMLJMP = result : Promotion not found. that’s what I get for waiting while I prepared!! Now I need the code!!! I’m all studied up!!! Please, i need new code!!! tried just now. not working… any clues how to get it. Guys..I am badly in need of a new promotion code. Both HTMLJMP and HTMLMPN are have expired. Please help. any new code as of today? Thanks! I need it badly..
yipee Finaly getting ready for Exam their is one new Promotion code out in market HTMLSPM working today…. Enjoy!!! I passed the exam. Thank you for providing the code. Congratz! Thank you for coming back ! Come on people, free lunch is over, stop bothering the blogger asking for promotion codes. You sir are a Boss! new code ??? which code is working now ? Nope, I don’t know of any! Promotion code or voucher is no more……. DO NOT TRY ALL PEOPLE ABOVE TRIED MANY TIMES. SAVE TIME SAVE MONEY !!! You could have also seen it by reading the article.. it says : Edit(13/02/2013): Microsoft Learning that all vouchers have been taken. I think it’s dead for real now! There are none, I can’t create any.. wish I could! Interested in taking the 70-480 exam. Any more free Promotion code for the exam 70-480? Hi all! Is there any new free Promotion Code for #70-480? Not that I know of 🙁 . As soon as I find one I will post!